High Valley Hanoverians (HVH) seeks an exceptional individual for a part time Dressage Trainer role. HVH is a Hanoverian producing farm with an Elite Hanoverian brood band and an excellent herd of young dressage prospects ages foal through well under-saddle. HVH specializes in the training of these young dressage horses via the unique HVH training method "Developing Hanoverian Athletes in the Mind & the Body"®. Horses in this program benefit from a rock-solid classical dressage foundation developed in conjunction with effective conditioning in our combined training fields, over gymnastic grids and on extreme mountain trails. Each Young Horse is appropriately challenged, encouraged to express a playful nature and receives ample encouragement, love and attention. The result is a happy, physically fit dressage athlete who demonstrates the passion to achieve his/her career potential. Several HVH young horses have qualified for Young Horse National Championships, USDF Regional Championships and US Dressage Final Championship. The position includes shared responsibility for the HVH training program to provide dressage foundation training to young dressage horses. Dedication to quality horse care, excellent work ethic and track record of harmonious team relationship building is essential. 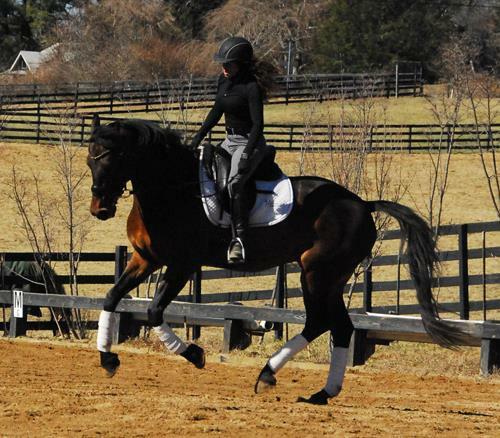 The Young Horse Trainer must have experience establishing foundation training on young dressage Horses. 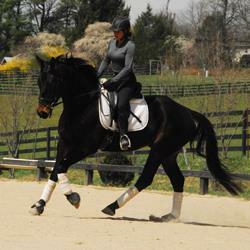 Preferred applicant will have experience training / showing to mid-level Dressage and USA citizenship or work permit. 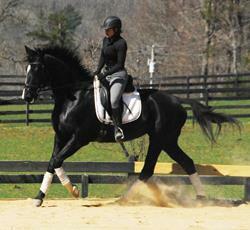 If Young Horse dressage training is your career passion, you are encouraged to apply. Please take the time to provide a detailed response including your Young Horse Dressage equine career background, goals/vision and your personal philosophy on Young Horse development. Please provide a video link to you riding a Young Horse in a dressage session. 18+ years of age, physically fit, with experience working in a busy training barn providing detailed care of competition horses. Individual must be motivated, dedicated, trust-worthy, hard working, self-starting and enjoy a harmonious work relationship with horses and other facility staff members. This is truly an opportunity to develop valuable Young Horse Dressage expertise on exceptional Hanoverian dressage athletes. 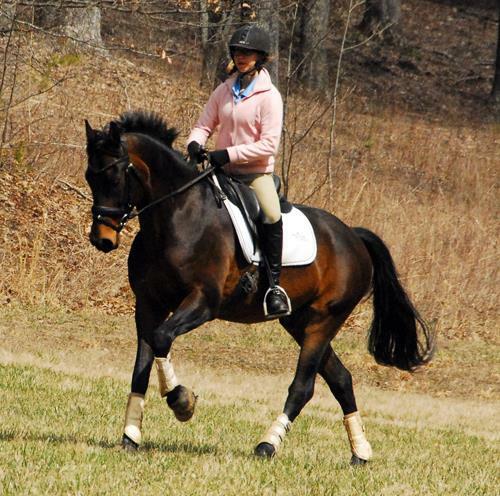 Hanoverian Mare & Young Horse station and a Warmblood Training & Consignment Sale Facility nestled in a beautiful mountain top valley in the North Georgia foothills of the Appalachian mountains. 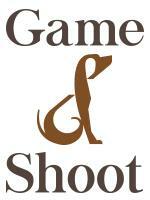 We produce exceptional Hanoverian & Warmblood young horses for the dressage. Our training method, utilizes a variety of work including arena schooling, combined training, gymnastic grids and extreme mountain trails to develop fitness and a happy horse with an exceptional work ethic.